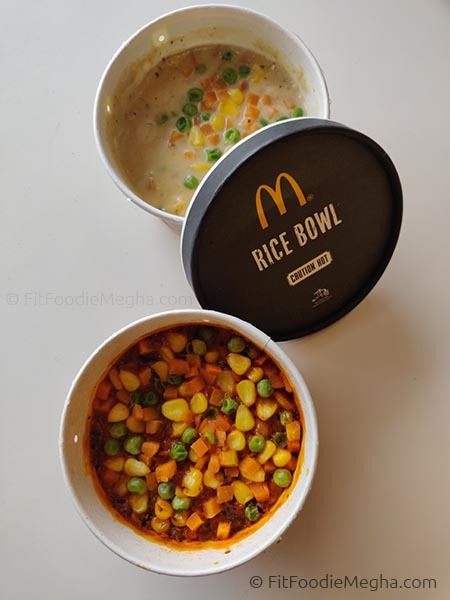 Fit Foodie Megha: McDonald's Rice Bowls – New addition to the menu! — Reviewed! 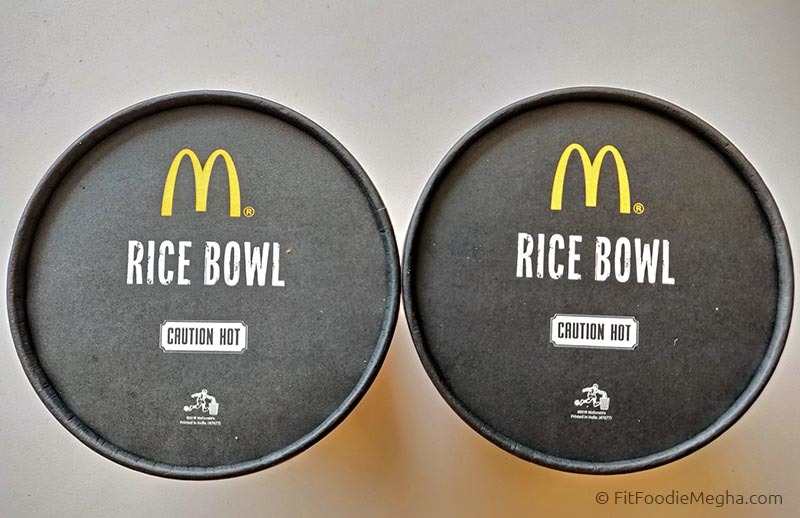 McDonald's Rice Bowls – New addition to the menu! — Reviewed! McDonald's is a pioneer in the burgers and french fries. 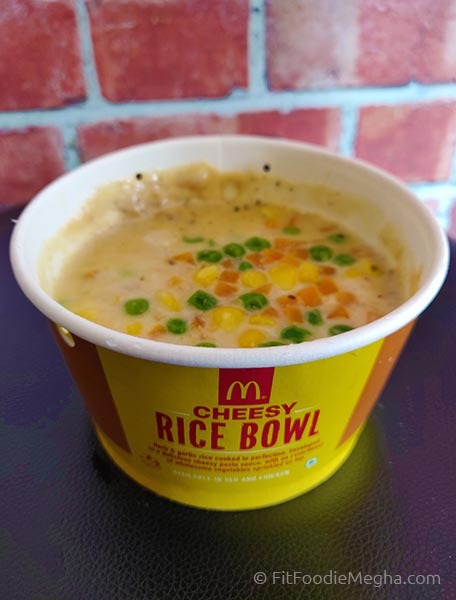 Known to innovate and cater dishes worthy local palate, McDonald's have newly introduced Rice Bowls which are not only filling but scrumptious too. 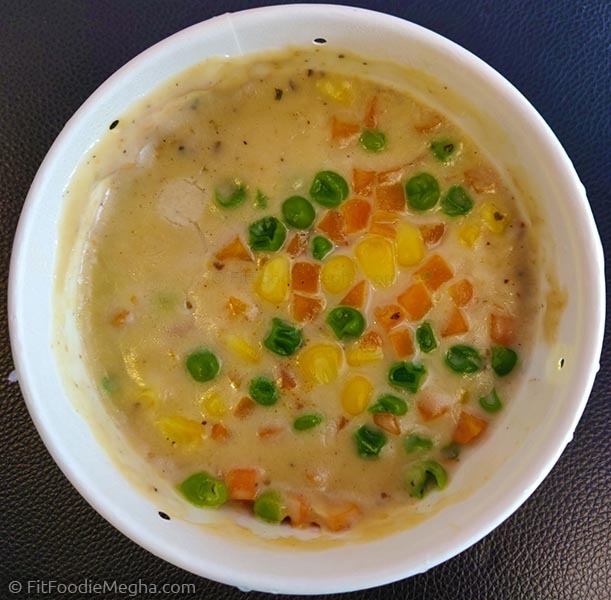 The wholesome one-pot meal menu is relevant to the taste which suits Indian buds and also has McD twist to it. 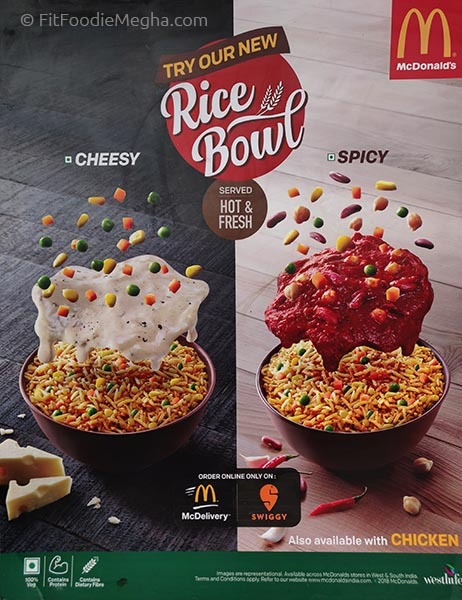 There are two variants in the Rice Bowls – Spicy and Cheesy. Both are available in Veg (Rs.133) and Non-Veg categories (Rs.164). The base of each bowl remains the same. 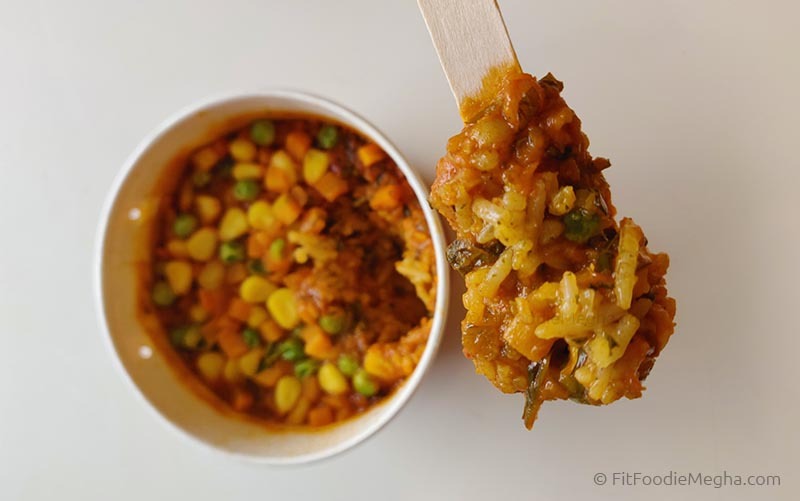 The wholesome portion of the rice meal consists of three layers of basmati rice, bulgur and whole wheat with veggies such as carrots, onions, zucchini, peas and corn tossed in a scrumptious tomato & beans and/ or cheese gravy. 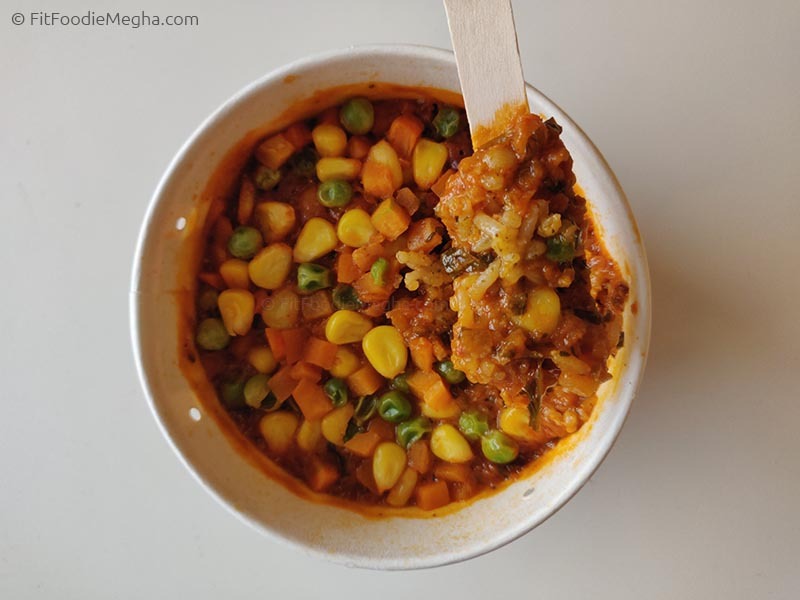 I tried both the bowls and instantly loved the spicy one but gradually was inclined towards cheesy as well. The Spicy Rice Bowl had the basmati rice base and topped with tomato concasse, kidney beans and chickpeas which you need to mix. Open the box and the aroma hits you while the spicy taste lingers on from the very first bite. I found it a bit tangier while I chomp on few more spoon full of deliciousness. On the other hand, the cheesy bowl had the herb and garlic rice, veggies as a base topped with cheesy and creamy sauce. 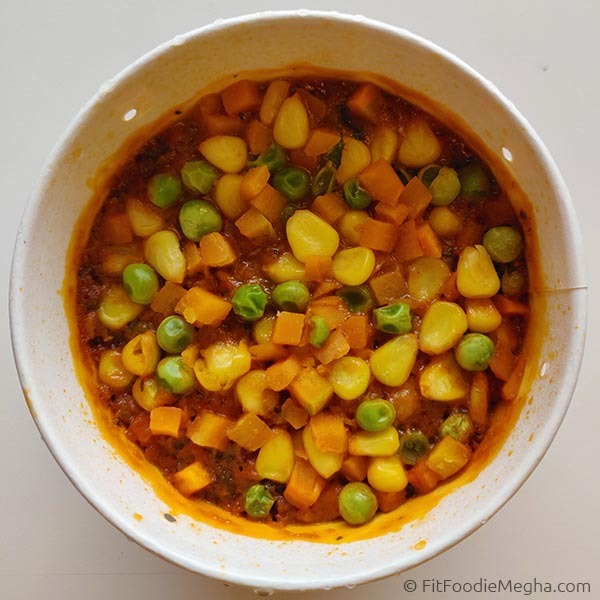 Served hot, the flavour is subtle and guess will be more popular amongst kids. Prices are quite competitive but I feel the quantity can be bit more. Have you tried them yet? Please share your experience in the comment box.